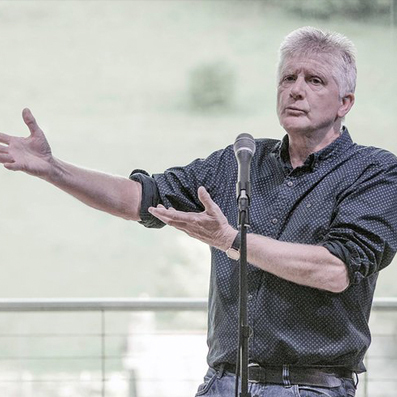 Rob Barratt is a Dudley-born and Cornwall-based comic poet, humourist and singer. He is also a retired teacher and the membership secretary of Plymouth National Union of Teachers. His brain-tickling, word-mangling performance combines clever word play, verse and song with satire, parody and audience participation. Rob deals with such important topics as squid, data-driven education, Neanderthals, the weather in Scotland, distressed furniture and tuk-tuks. In recent years Rob has appeared at folk, literature and arts festivals all over the UK and in Australia.